Today on #MakersTV I talk about why it’s important to focus (to be able to be more productive and efficient) in your business, and two things you can do right now to help you do just that. We often, as creatives, have loads of ideas (I myself suffer from shiny-object syndrome) and as great as they are, trying to multi-task and work on a bajillion things at once is never a good idea, if you want to actually get anything done. Stick to 3 maximum tasks in 1 day. To do this you have to have 2 lists. A master list and an actual list for your day. If you get these 3 done in the day then you can choose one or two from your master list. You need to set more realistic expectations of what you can get done. This allows you to focus on the things that you should really prioritize more compared to other stuff on your list. We only have 24 hours in a day and realistically we can only really get a few things done in a day since we also have a life to live, kids to care for, or keeping ourselves sane. We try to do many things at once. I am guilty of this (SHUT DOWN THE TABS!!!). So we need more batching to avoid context switching which makes it hard to go back to the task at hand. Avoid getting distracted in the time your are supposed to work on a certain batch of things to do. You can also block apps or websites for a certain amount of time to regain your focus and GET THINGS DONE! You can read more about the theory of context switching and a story of when I used to do a lot of things all at once and why it did not do my any good in the blog post entitled WHY YOU NEED TO FOCUS… RIGHT. NOW. When I finally started to do the 3 things per day list versus doing everything in my master list, my business just got better and better. When you niche down the daily tasks you are doing, your mind lights up and gets to breathe. Let yourself breathe! So that’s it for today’s episode and if you think you need help refocusing on which things to do first in your business, I’m here to help you do that and pinpoint your issues to identify what your friction is. 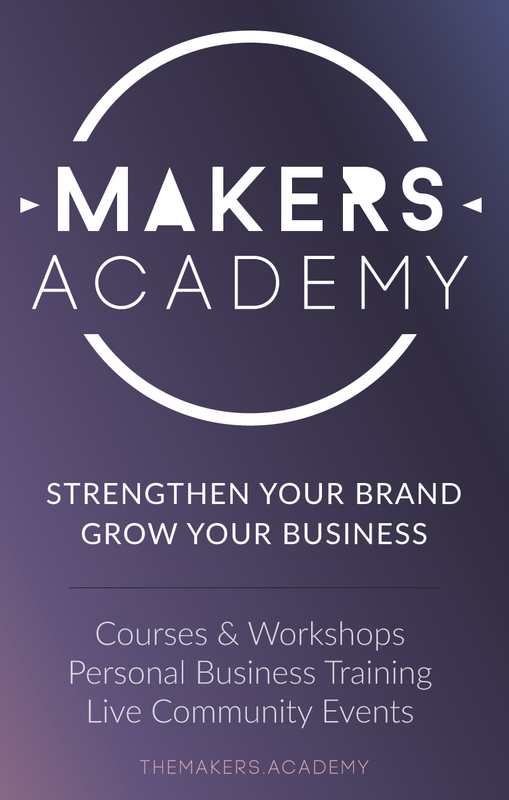 Do check out The Makers Collective and The Makers Academy and let me know if you have any suggestions on what my next topic for The Makers TV should be!